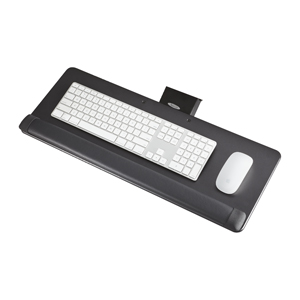 Make how you type a healthier part of your workday with the Knob-Adjust Keyboard Platform. 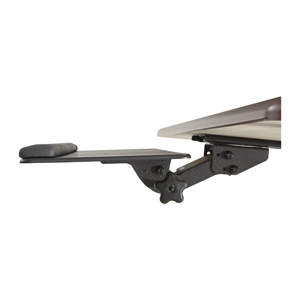 This adjustable keyboard platform features attractive contours and a sleek profile that conveniently tucks away under the desk. Single knob offers simple, easy height and tilt adjustment to ensure comfort and proper ergonomics. Includes foam wrist rest. Made from black, durable, wood fiber construction.